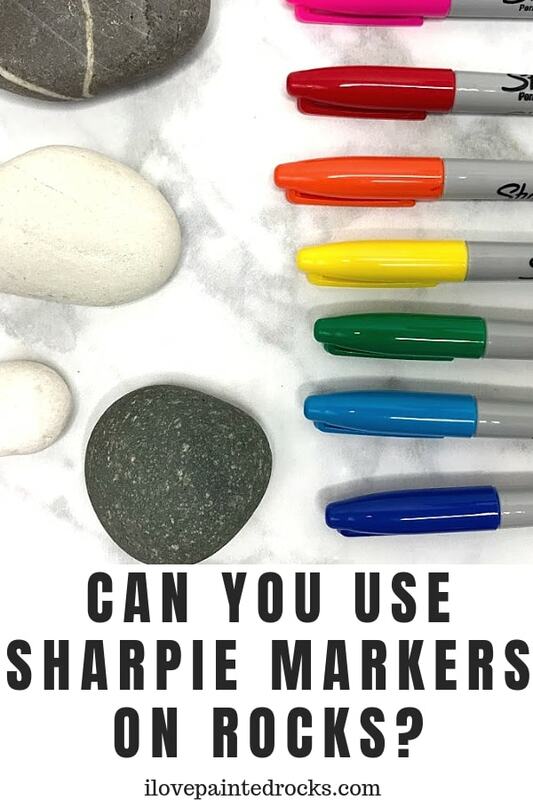 Home / getting started / supplies / tutorial / video / Can You Use Sharpie Markers on Rocks? Many beginning rock painters want to use a pen of some sort to draw on rocks or to label the back of their rock art for the Hide-and-Seek Rock Project. The pen most people have at home? Sharpies! Are Sharpie markers a good way to write on rocks? Will Sharpies work on rocks? How can you seal your Sharpie art on rocks so that it lasts? 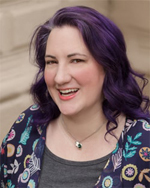 I've got the answers to all your questions and more below! I'll also tell you what my favorite paint pens for rocks are in case you want a really high-quality rock painting pen! Prefer to watch a video instead of read and look at pictures? I also made a video answering this question on the I Love Painted Rocks YouTube channel. 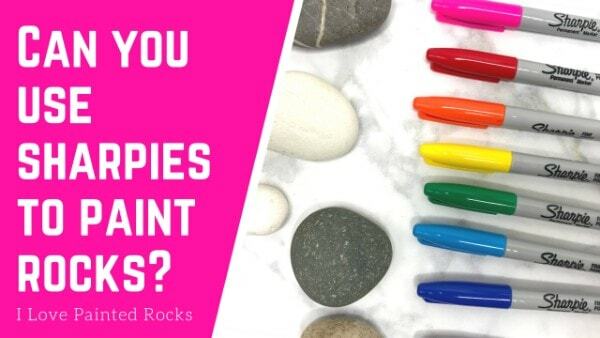 Watch it here: Can you paint on rocks with Sharpies? Can you draw on rocks with Sharpie markers? But whether or not you can do something is different than whether or not you should do something. Will a Sharpie draw on a rock? Yes. Is a Sharpie the best tool to use to draw on a rock? In my opinion, No. Are Sharpies good for rock painting? Ah! This is a much better question. As mentioned above, a Sharpie is capable of drawing on a rock. Sharpies do have a couple problems, which keep them from being ideal rock painting tools. The first is that Sharpies will fade when left outside. 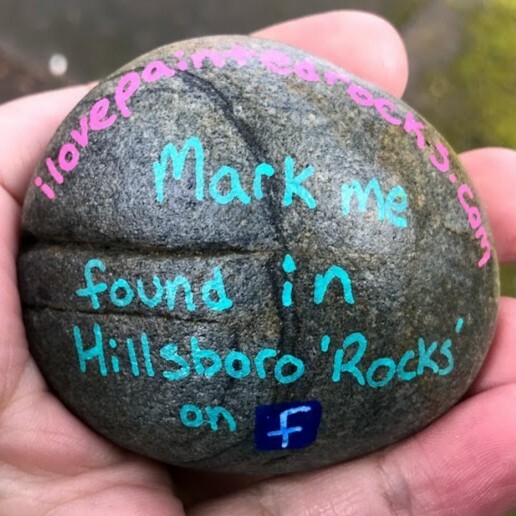 If you want to paint rocks as part of the Hide-and-Seek rock game, or The Kindness Rocks Project, your rocks will be left outside in the weather. Over time, rocks painted with Sharpies instead of paint are going to fade and in time your pretty rock won't look so great. The second is that Sharpie art is hard to seal. While it is possible to seal Sharpie art on rocks, it can be a little touchy. I will outline my procedure for sealing Sharpie art onto rocks below but the process can be a little finicky and things can sometimes go wrong. Do you need to seal Sharpie drawings on rocks? Left unsealed, Sharpie art on rocks will fade over time. The best way to preserve your Sharpie art is to seal it. 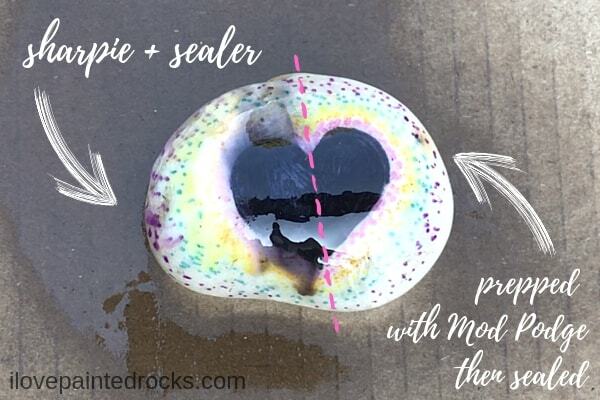 This process is a little trickier than it sounds but I outline the procedure for the best way to seal Sharpie art on rocks below. How do you seal Sharpie drawings on rocks? Sealing Sharpie art will help make it fade resistant and long lasting. Most rock painters use spray sealer like Rust-o-leum clear spray sealer to seal art on their rocks. 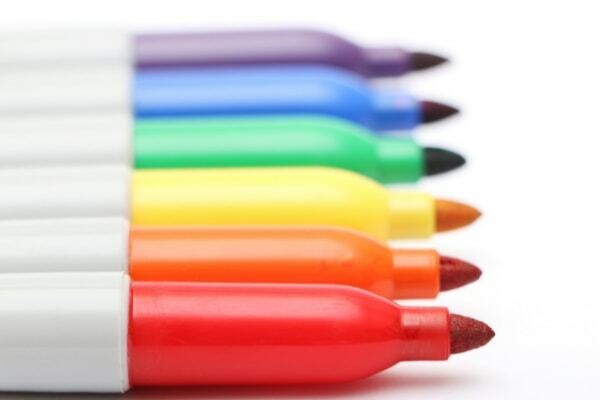 The problem is, the chemical make-up of Sharpie ink is different than acrylic paint. This means you can't seal a Sharpie drawing the same way you would seal a painting. If you just spray a Sharpie painted rock with sealer, it will run. Here is a photo of a rock I painted with a Sharpie and sealed two different ways. On the left is the "Sharpie only" side. 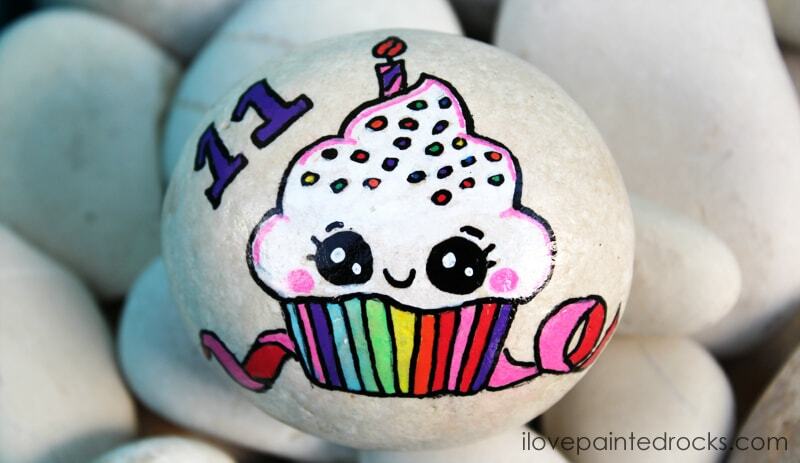 I painted a rock with sharpies (I used these) and a few days later, used spray sealer on it. As you can see the ink has run and smudged. This rock is totally ruined! The right side of the rock is also painted with the same Sharpies I used to paint the left. To this half of the rock, I also applied a generous coat of Mod Podge glossy formula. I let it completely dry and a few days later, used the spray sealer on the rock. This side did so much better! 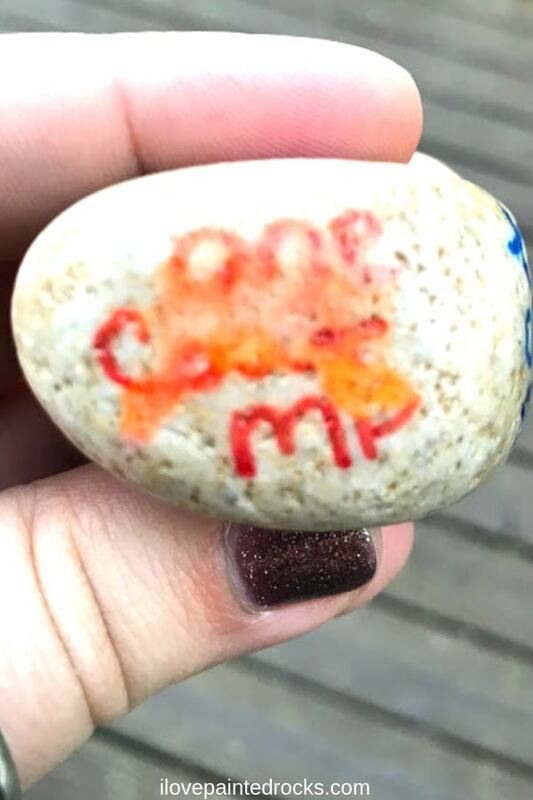 Seeing how well the Mod Podge worked, I decided to do an experiment where I wrote on a rock in three places. One side was sharpie only. One side was Sharpie and one coat of Mod Podge. The third side was Sharpie with two coats of Mod Podge. 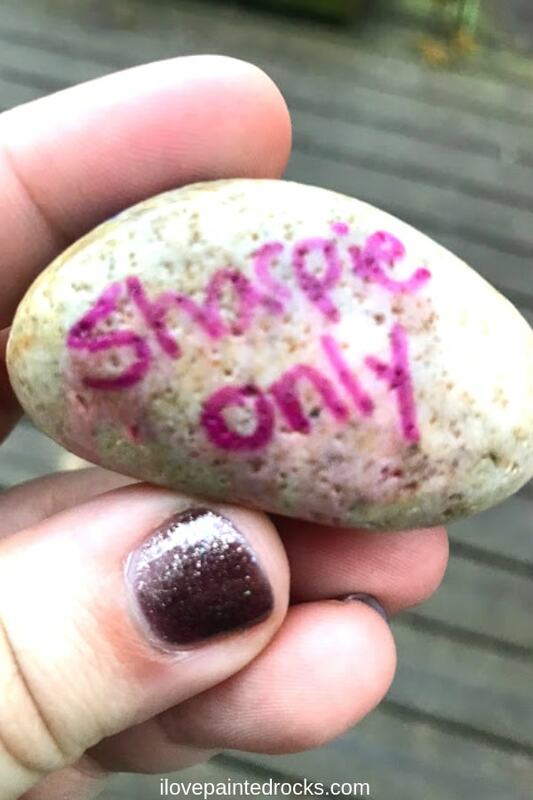 The "Sharpie only" rock - which was just Sharpie and spray sealer smudged. This photo is not out of focus. The Sharpie smudged and feathered in such a way that it LOOKS blurry. This next side of the rock, I wrote on with a Sharpie and then added one coat of Mod Podge. I let the Mod Podge dry completely. A few days later, I sealed it with spray sealer. As you can see, in some places the art is fine (like the M). Other places where the Mod Podge was a littel thinner, the sealer soaked through and made the ink run. One the third side of the rock, I wrote with a Sharpie, applied one coat of Mod Podge and let it completely dry before adding a second coat of Mod Podge. Several days later when I sealed the rock, this side looked great. 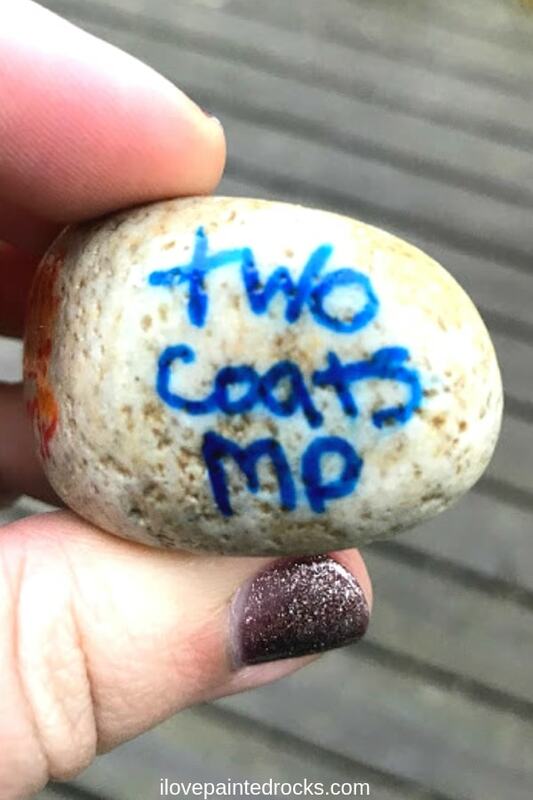 If you want to paint on a rock with Sharpies, give it two generous coats of Mod Podge and allow it to dry completely before sealing it. What are the best pens for drawing on rocks? 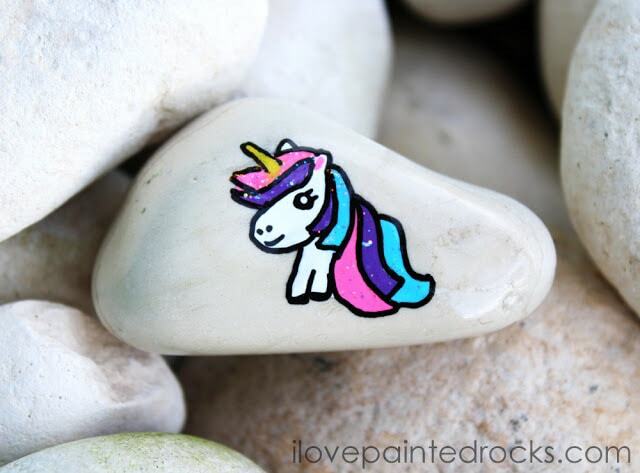 As I alluded earlier in this post, I really don't think that Sharpies are the most ideal markers to use to paint on rocks. When I want to use a marker instead of a paintbrush, I reach for Posca Paint Pens. 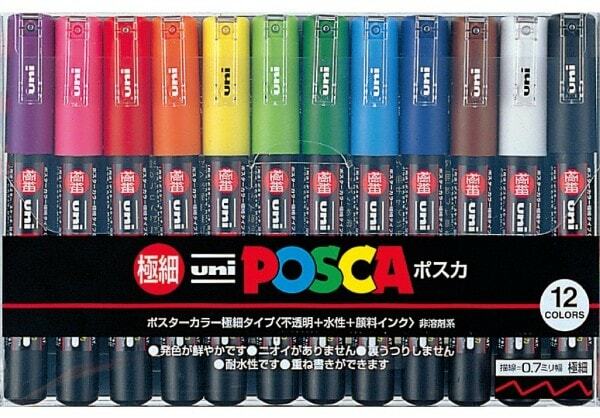 Posca pens come in every color imaginable and multiple nib sizes. They are perfect for writing on the back of your rocks if you want to label them for the Hide and Seek rock game. One of the other reasons I love them is that they don't need any special treatment in order to seal them. Just let dry and spray with your favorite clear spray sealer! If this guide was helpful don't forget to save it for later!